BUSINESS HAS BEEN BOOMING, BUT CONSTRUCTION COMPANIES CAN'T FIND ENOUGH ELECTRICIANS TO KEEP UP WITH DEMAND. AS A RESULT, ELECTRICIANS ARE MAKING EXCELLENT MONEY. With commercial construction booming throughout much of the United States, employers simply cannot find them fast enough. In both California and the United States as a whole, electricians are enjoying excellent employment opportunities, and great pay as well. According to the Bureau of Labor Statistics, employment in the electrical field is expected to grow by 14% through 2024—creating 86,000 new jobs—a rate that the BLS describes as “much faster than average.” In comparison, the construction trade is expected to grow by 10% during that time. 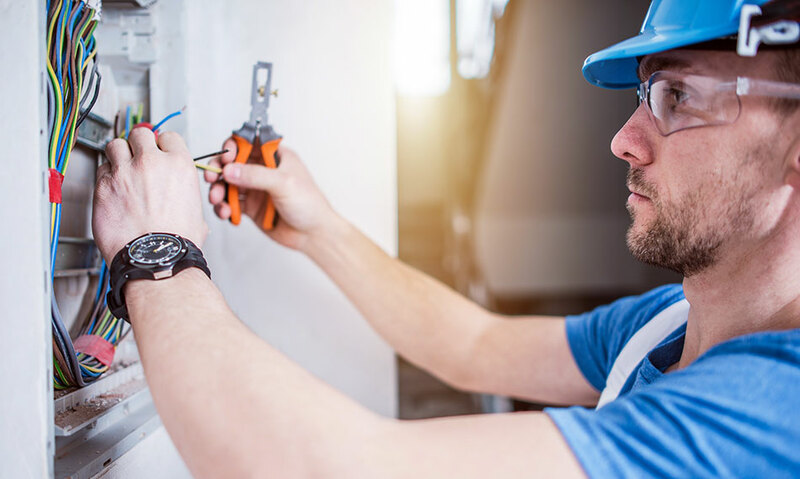 This growth and demand is reflected in the fact that in the United States, the median salary for electricians is about $10,000 higher than the average pay for construction workers in the U.S.
For those considering the electrical trade, they should be reassured to know that almost all electricians work full-time. In fact, you should expect to work overtime in many cases, so obtaining adequate hours will almost certainly never be a problem. While there are more stats to discuss, there’s something important for you to keep in mind, and something we often remind our students about: if you perform above average, you’ll be paid above average. Don’t let pay averages limit your expectations. Also, electricians who work on commercial projects, versus residential, can average about $100,000 per year. Electricians in California are enjoying salaries $16,000 more than the national average. Obviously, these extremely high paying regions are all in the Bay Area. However, if you’ve been keeping your eyes open, you’ll likely have noticed that Sacramento is experiencing a major boom that is showing no signs of slowing, in part due to the city working overtime to lure businesses away from the Bay Area. The resulting construction has obvious consequences for Sacramento’s many electricians. Sacramento is experiencing a construction boom, and employers can’t hire enough electricians. Just a few of the local areas with multiple major construction projects currently ongoing include Sutter Park, Elk Grove, and the Wilton Rancheria Resort Project. In addition, the new soccer stadium is currently in pre-development, and we anticipate many more projects to spring up all along the I-5 corridor. So, ask yourself this: How would you like to work in an industry where you have choices as to who you want to work, and where? If this sounds like a great deal, then give I-TAP a call at (916) 332-3332, or submit your contact information through the form on the front page of our website, and we’ll show you how you can become an electrician, and find the money to pay for your electrical education.